Recently back in Melbourne I found myself sitting in my favourite restaurant, Movida, for a chat with Troy Jones of Payten & Jones Vignerons. Troy, Behn Payten and Peter Payten established Payten & Jones in 2006 in the Yarra Valley, 45 km east of Melbourne. The region is a cool climate region when compared with other Australian wine regions. It was also the first region in Victoria to plant wine growing vines in the late 1830’s. 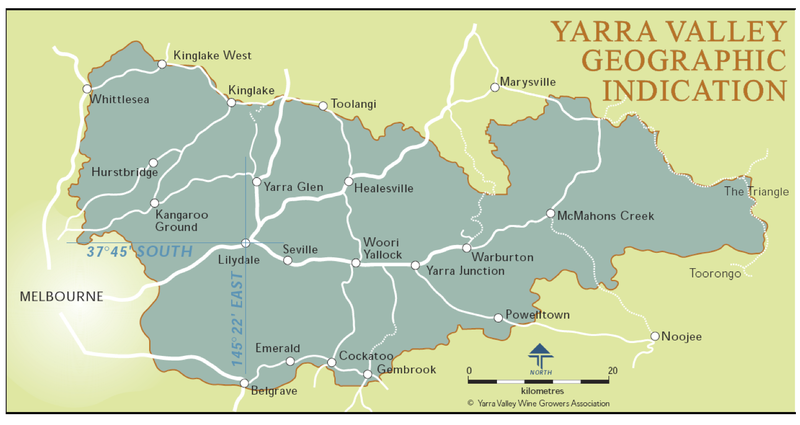 The Yarra Valley has soil types ranging from sandy clay loams in the middle of the Valley to red and black volcanic earth in the Upper and Lower valleys. This myriad of soil types fits perfectly with the ethos behind Payten & Jones – a “passion for producing wines that speak for themselves and are true to the location”. 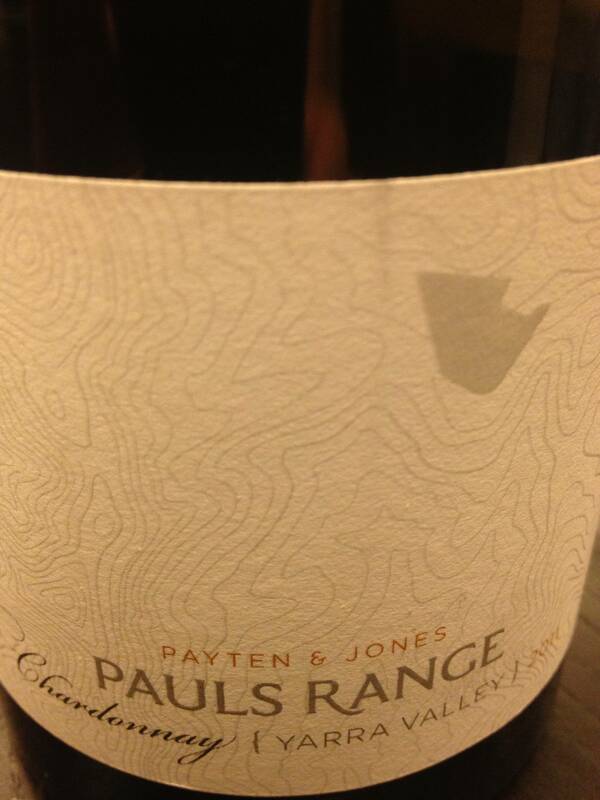 Despite having more challenging vintages than not in the seven years since inception, Payten & Jones have continued to produce high quality single site wines from around the Valley (a full list of vineyard locations can be found at the end of this article). Sustainable viticulture practices combined with a hands-off approach to wine making ensure the wines reflect the “specific patch of dirt” from where they came. With no fining or filtration the wines can sometimes appear to be “a little murky in the glass” and to throw a bit of sediment from time to time – further reflection of the personality of the wine, or as Troy describes it, these wines are “the artist performing their hearts out live” rather than the “over produced, squeaky clean picture perfect recording”! 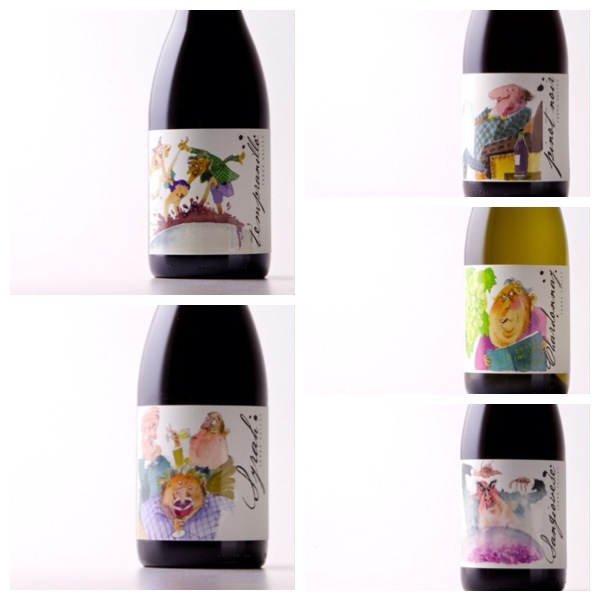 Payten & Jones have two labels in the portfolio – the Valley Vignerons series with the quirky labels designed by award winning artist Roland Harvey and the Payten & Jones series using the distinctive white labels showing the topography of the particular vineyard area. I recently tasted the Valley Vignerons 2012 Syrah, which at less than $20 AUD per bottle is great value for money. The 16 year old vines are from the rich black volcanic soils of Kangaroo Ground in the Yarra Valley. In cooler seasons the grapes grown here produce elegantly perfumed Syrah while in warmer seasons (comparatively so for the Yarra) the fruit is more opulent. Alongside the Syrah small quantities of Grenache and Viognier are also grown here. Each year the level of whole bunch fermentation is determined according to growing conditions and for 2012 15% whole bunch fermentation was used along with hand plunging three times a day before maturing the wine in seasoned oak barrels. Hand plunging or ‘punching down’ refers to a process during fermentation when the skins and the juice are in contact. While in the tank, the skins of the grapes naturally float to the top forming a cap. Plunging or punching down those skins with paddles secured to the ends of long sticks pushes the skins back down into the barrel and into contact with the juice. This process helps to extract the optimum amount of colour from the grape skins for the wine. The use of seasoned oak helps impart tannin to the wine for structure with minimal oak flavouring and this ensures the flavour profile is led by the grapes rather than the oak. The use of the name Syrah rather than Shiraz (the grapes are identical) is a nod to the cooler climate of the Yarra Valley. Cooler climate Syrah’s typically produce a more savoury flavour profile in contrast to the big red fruits of a warm climate Shiraz. This was certainly true of the 2012 I tasted. The red and black fruits of the wine were led by spicy, herbal and savoury flavours which followed through to a finish of delicately candied red fruits– very moreish! The wine is comparatively light in body with a clean mouthfeel and delicate fine grained tannins. With acidity levels leaving your mouth watering but not puckering I would pair this Syrah with the richness of slow cooked or barbecued meats. 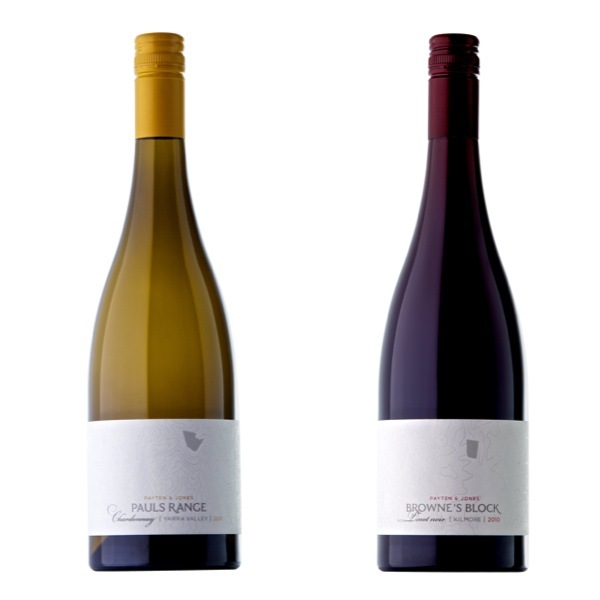 A couple of weeks ago I had the 2011 Pauls Range Chardonnay from the Upper Tarrawarra and in keeping with my recent article on Circe Wines and the 2011 vintage, this is another great example of a smaller quantity but excellent quality from 2011. The Chardonnay is drinking superbly now and I would encourage those of you in Australia to get your hands on some. There is a richness to this wine that works well with food and is perfectly balanced with a good dose of zingy citrus leaving the palate cleansed and refreshed. It is this exciting combination of a small producer providing a top quality product which is also representative of the location from which it came that makes me a Happy Wine Woman. I look forward to continuing to enjoy these wines and to seeing how those in my cellar develop in the coming years and would certainly encourage those of you who are in Australia to add a bottle or two to your cellar! Medium lemon colour. Aromas of struck match, creamy lees and vanilla notes lifted by fresh citrus – ripe grapefruit and meyer lemon. On the palate, medium body, very clean mouthfeel with flavours of buttered toast, grapefruit and lemon. Medium plus ruby colour. Aromas of black plum and red cherries together with white pepper, fennel, cedar, eucalyptus and green capsicum. On the palate fine grained medium tannins, medium plus acidity and a light medium minus body. Flavours of black plums, sour cherries, tea leaves and white pepper, a medium plus spicy finish with a hint of soft raspberry pastilles. Ha! Really – it’s still one of my favourite restaurants!! 🙂 Just tasted the latest release from P&J and can confirm it is excellent!